Our Student Chapter of the Wildlife Society has had a very active fall. 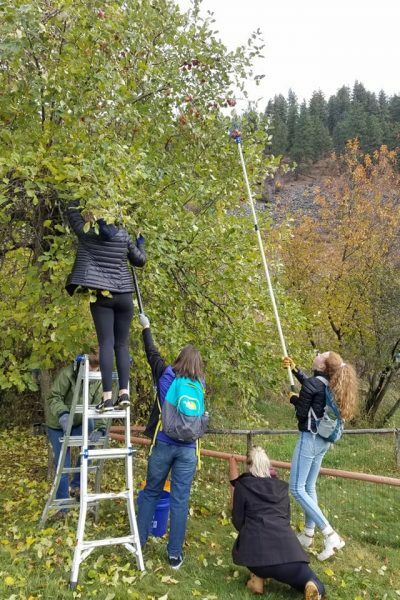 We have students volunteering around the community apple picking to discourage bears with the Great Bear Foundation; rolling barb wire with the Backcountry Horsemen at the Blackfoot-Clearwater Game Range; spending their weekends at Hunter Check-stations with the FWP biologists; and, a new activity of teaching in an afterschool program called Flagship. 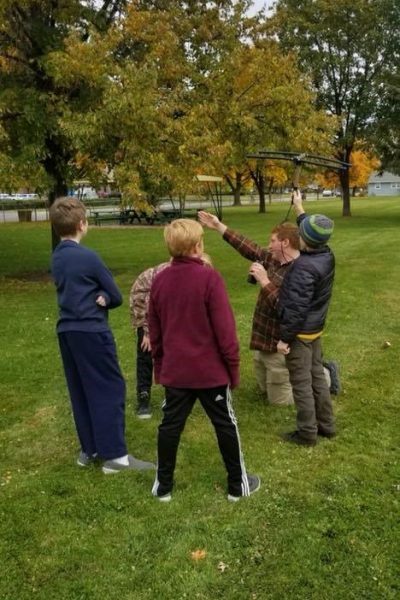 Our current education outreach officer, Jonathan Karlen, came into the semester with the goal to get our students more involved with our community’s youth. He has arranged our students to visit different Flagship elementary or middle school programs to teach 2-hour Bear Safety and Wildlife Jobs classes. 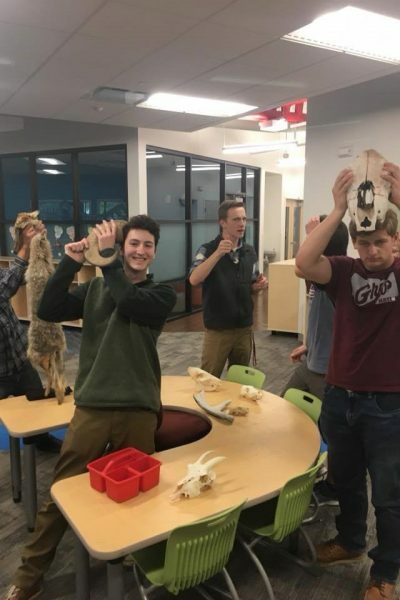 Our TWS members are engaging the younger students with an activity-based program which features inert bear spray demonstrations, hands-on skull and skin inspection, PIT tag reading, and even a telemetry scavenger hunt! This has been a fun new opportunity for our students and we are happy to be inspiring future wildlife conservationist. Coming up, in a partnership with the Backcountry Hunters and Anglers Student Chapter, we are hosting a program called Hunter Mentorship. 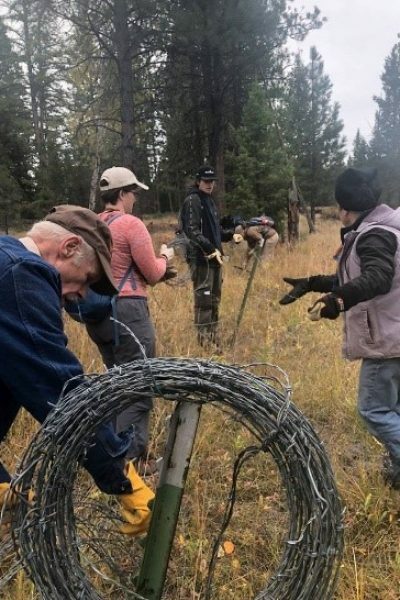 The mission of Hunter Mentorship Program (HMP) is to provide the opportunity for natural resource pre-professionals to learn about the culture, ethics, and practice of fair-chase hunting on public, private, and block-management lands in Montana. We take students who are new hunters or just observers and pair them with experienced Montana hunters for a weekend. The group will travel to a cabin in Philipsburg where food and lodging is free to all participants. This is the fourth year of HMP, which was started by UM doctoral candidate James Goerz, and the TWS students are very excited to participate. Our group appreciates the support and interest of the Montana State Chapter! 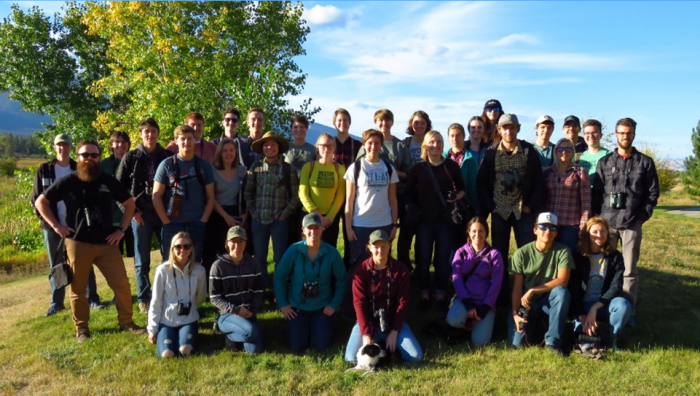 We have an enthusiastic group of undergraduate students who would be thrilled to assist with wildlife related projects, so keep us in mind if you ever need some extra hands. GO GRIZ!